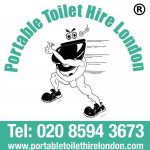 Portable Toilet Hire London, based in Barking, Essex offer you Portable Toilets, Disabled Toilets, Colour Coordinated Toilets and Urinals. We are able to travel throughout London, Essex and the surrounding areas at short notice as required for long or short term projects. We also offer 24/7 Emergency Services and Same Day Delivery. Whether you are working on a large construction site or a smaller project, you will require a construction hire dependable service providing the amenities you need to cater for your workforce. Hosting a party, small family occasion, large wedding reception of festival? We provide you with a solution to fit the number of guests you are expecting on the day. Are you busy with a home DIY project, new bathroom, builders in? We supply a toilet to your home, Portable or Mains Connect during the duration of your project. It’s important to have disabled portable toilet facilities at any event. Our portable disabled toilets are fully equipped, easy to access by wheelchair, and have specialist facilities included. All portable mains connect toilets are connected to a power supply which give you hot running water for washing of hands. The toilets can be installed by one person and easily re-located by two people, they can be serviced weekly or just hired for a day or longer period. Whether our toilets or not we will service them for you. All toilets are well stocked with consumables for the duration of hire and also regularly inspected by our team to ensure hygienic standards are met. Urinals are the perfect toilet solutions for festivals, concerts and large events, our urinal units assist to reduce queues, but also allows the user privacy.